Filly Brown –Super Star Status, Lifestle lavish…. Those are a few of the lyrics to the key song “Reflections” in the film Filly Brown, a movie about a young girl who inspires to achieve her dreams of stardom while maintaining her integrity despite hardship. I bring up those lyrics because I can’t help but sing them in my head with a fierce attitude. The movie does that. The music does that. It grabs you. But it doesn’t hold your attention merely by some well-spitted out rap lyrics (sung by Gina Rodrgiuez who plays Majo Tonorio AKA Filly Brown) and dope beats. It maintains your focus with the message. The story. I won’t tell you all about the story in detil because I want you to check it out for yourself. I want you to buy a ticket and eventually a DVD. See Filly Brown for the most part, features Latinos as the main characters. It is more than a movie about Latinos, it is a platform and stepping stone that will lead to the next level for the new talent. That same stepping stone will also be engraved with a mark of support from the vetern actors. I hope this will be J Lo's "Selena" for miss Gina Rodriguez or at least lead to that shift in her career. I say Selena because unfortunately, like Selena, the death of a star becomes a light for the rise of another. One of the stars of the film, Jenni Rivera died in a airplane crash before the premier of the film. Many fans of Jenni (and she had many) will see the movie, remember her while also being introduced to Gina. The film demonsrates issues that some might argue are stereotypical. 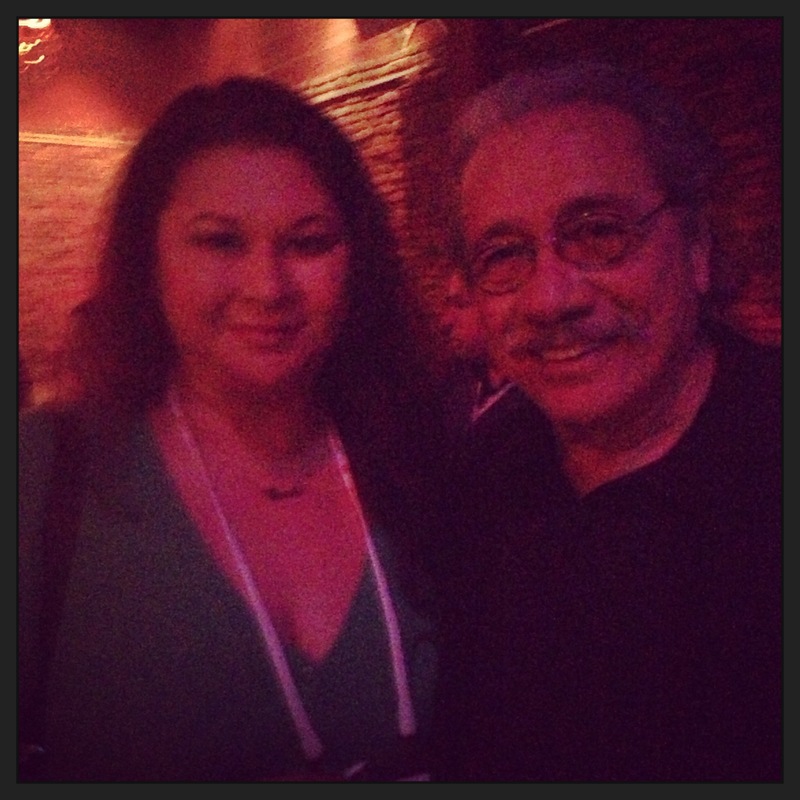 In fact, at a movie screening I attended in Miami, Edward James Olmos reminded us that stereotypes start from somewhere real –they are based on a reality. Now, in my opinion I think there was a shift in roles but not to such an extreme that the stereotype is so reversed that it becomes an entirely different type of movie. For example, in this film, the mother (played by Jenni Rivera – en paz descanze) is the troubled family member versus the “rock” of the family always holding everything together that we are used to seeing. But, the father (played by Lou Diamond Philips) was no angel either. As the story unfolds, you see why. That balance of cause and effect really gives the film a depth I can appreciate. Additionally, the movie was well acted. I sat watching in the theatre just waiting for my body to automatically cringe with overdone acting. But, no, I was pleasantly surprised how this was not just another hip-hop or dancer-on-the-rise tale. It was very natural. I think Chrissie Fit (plays Filly Brown's sister Lupe) does a good job in her role. I think there's a touch of that air-head innocence that makes it fun to see her. Overall there was a good balance of comedy. Rapper Chingo Bling (AKA Rayborn Ortiz) steals several scenes with his fast-talking character as Filly Brown’s manager. I got to speak to Chingo Bling first via Twitter and recently at music festival Pachanga Fest in Austin. Check out what he has to say about Filly Brown. I thought it was So Fly that he was at the festival selling his own merchandise, a hands-on approach to hustle that was not too far off his Filly Brown character. Filly Brown also stars the legend Edward James Olmos and is directed by Youssef Delara and Michael Olmos handle directing duties. Thanks Alvina! He was a lot of fun in person. Make sure to tweet about it when you do get to watch it 🙂 It’s always good to support Latinos in film however we can.